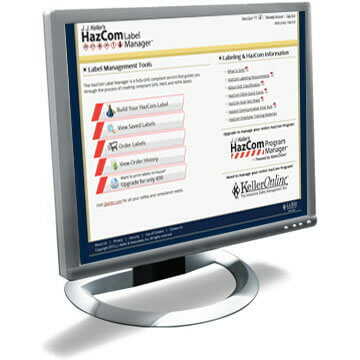 Take control of your compliance with our line of secure and user-friendly online applications. 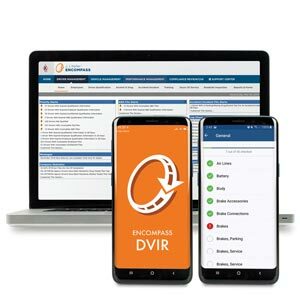 Well-built dashboards keep you alerted to tasks that need attention and provide regulatory content to support your core areas of compliance. 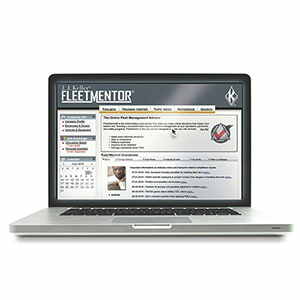 Online fleet management service relied on by thousands of transportation professionals to help effectively manage operations, personnel, and safety programs. 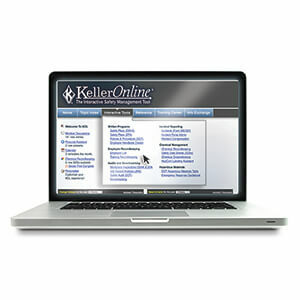 Used by 19,000+ safety pros. 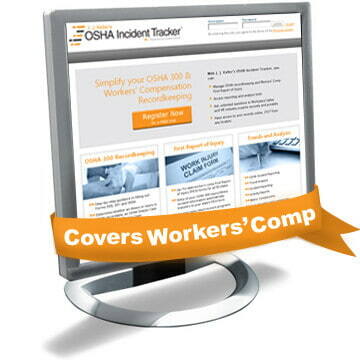 Includes safety management system tools and applications to help reduce accident rates and lower workers’ comp costs. 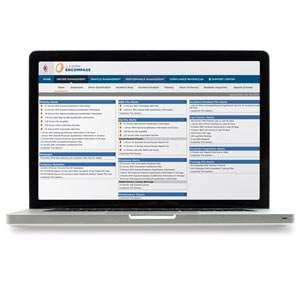 Online OSHA, DOT, Hazmat and EPA compliance information for all 50 states. 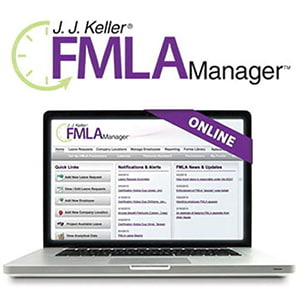 Online Service to help you simplify your OSHA Form 300 and workers' compensation recordkeeping. 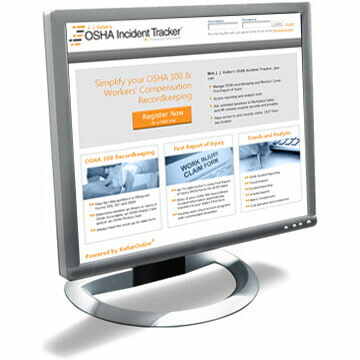 Online Service to help you automate and simplify your OSHA 300 recordkeeping. 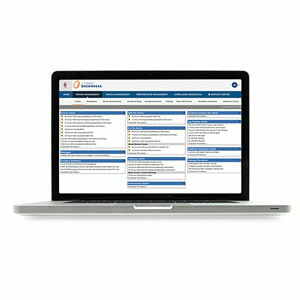 Online service makes leave tracking easier while complying with the latest federal & state regulations. 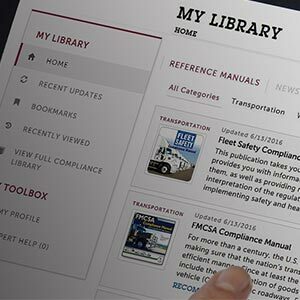 Build a customized online library that provides thorough regulatory coverage to help you ensure ongoing compliance. 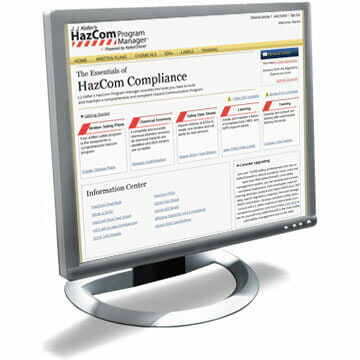 Access up-to-date, expert safety and compliance training 24/7. 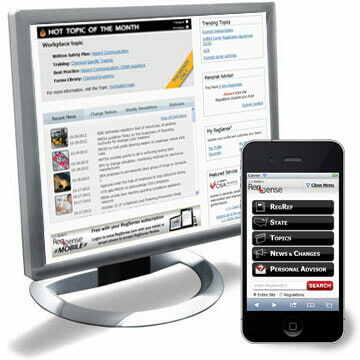 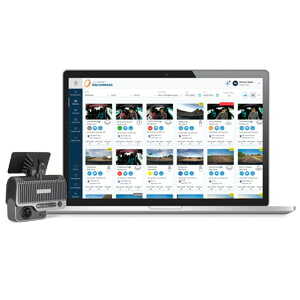 Choose from hundreds of streaming videos or online courses.